Frankfurt Laser Company is pleased to announce a new line up of LED’s and accompanying Photodiodes to its range. Both LED’S and PD’s operate in the in the Mid Infrared range from 1.58µm to 4.45µm. Due to advances in measuring technology these LED’s are ideally suited for use in gas measurement; this can be measuring the concentration of a particular gas or the existence of a particular gas type within air. Such sensors offer a reliable, instant and non-contact method of gas detection. 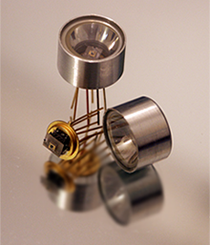 The individual LED’s and Photodiodes are a cost effective and are small enough to be integrated into the smallest of packages. Operating over a wide temperature range allows them to be used in a variety of environments. LED’s can be either used in Quasi CW or pulsed mode operation to obtain either a high average power output or a high peak power output. As an addition to the package options, which are TO18 and TO5 can both LED’s and PD’s can be equipped with a parabolic reflector to either decrease beam divergence or increase the light gathering power respectively. 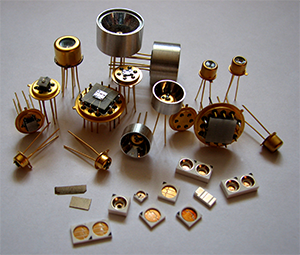 FCGMFrankfurt Laser Company offers a new line of low cost DPSS green modules. We are offering a complete range to suit even the most demanding customer requirements. The range features modules with output from 1-100mW in, point, focusable point or line form. For particularly demanding applications we offer a 5mW version with a wide operating temperature range from -5 to +50°C. For precision applications where a narrow bore sight is needed we are able to offer either 1 or 5mW modules with a bore sight <5mrad. 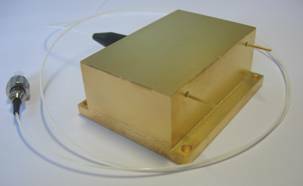 Due to the rapid developments in the laser technology, Frankfurt Laser Company is pleased to offer the FBLD-9XX-50.00-2Pin. 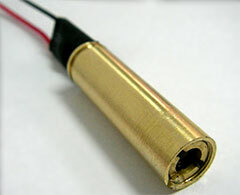 This fiber coupled laser diode has an output upto 50W from a 105µm core fiber with NA 0.15 / 0.22 and available wavelengths are 915, 940 and 976nm. Over the coming months Frankfurt Laser Company will be present at the following exhibitions and we would be delighted to see you there too.